H2O Rx / Chemical System Consulting (CSC) offers one-day training courses for employees on the storage and handling of dangerous goods and hazardous chemicals. Ideal for workers who are exposed to or work with dangerous goods and hazardous chemicals, these training sessions provide participants with the basic knowledge necessary for safe storage and handling of the harmful substances. 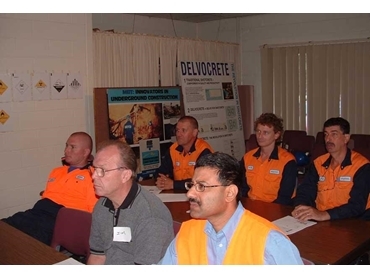 Delivered as an intensive and interactive session, the training course focuses on imparting practical safe work practices using the participants’ workplaces, knowledge and relevant case studies. The course assists employers to fulfil their obligations under the relevant national, state and territory OH&S and environmental legislations and statutory requirements. Held in 5-6 hour sessions, the course can be organised at the client’s premises or at a CSC training facility with a maximum of 12 participants. Upon satisfactory attendance and completion of a quiz, participants will receive a Certificate of Completion. Employers will also be sent a feedback report, plus results of participants’ training and recommendations generated during the course. An Australian technical training and dangerous goods consulting group, CSC employs engineers and OHS&E professionals with core competencies in safe storage and handling of dangerous goods and who are members of the Australasian Institute of Dangerous Goods Consultants.